View basket “Part Payments” has been added to your basket. The NEW iPhone Xs Max with back and sides embellished in either 24k Gold or Platinum. If you feel like the all-new iPhone Xs Max is not enough, then we present to you the 24k Gold iPhone Xs. Yes, a real gold iPhone Xs Max! iPhone Xs Max is extremely powerful and has the Apple’s Face ID, which makes sure that only you can unlock your phone and that too with just a glance. Every Apple fan will die for just an iPhone Xs Max but a real 24k Gold iPhone Xs Max is just heaven. iPhone Xs Max comes in two storage sizes (64GB and 256GB). A normal iPhone Xs does not come with gold colour but the 24K Gold iPhone Xs Max is all gold. The screen of this golden beauty is of 5.8-inch and it is all-screen OLED Multi-Touch with a massive resolution of 2436×1125 (458ppi). The 24K Gold iPhone Xs Max captures the memorable moments with its 12MP telephoto dual cameras. The pictures can be made epic with the Apple’s Portrait Mode. The selfie camera of the iPhone Xs Max is a 7MP TrueDepth camera, which is more than enough to take beautiful selfies. Buy 24K Gold iPhone Xs Max and become the unique one in your family, social group and even in your town! Not everyone has a real 24K Gold iPhone in his or her pocket and by getting one; you will become a celebrity in your peer group. 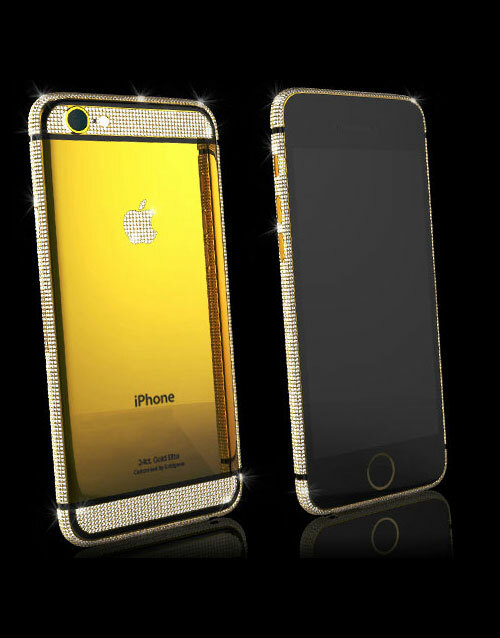 If you do not like the feel of 24K gold on your phone or need something which is even more different? Then you can Buy an Xs Max Gold iPhone Xs Max in other luxurious materials as well. You can get this luxurious iPhone Xs Max in Platinum, Swarovski or Full Swarovski. This piece of luxurious art is only available at the Alchemist. You can use any SIM on this iPhone Xs Max as it is factory unlocked to every network in the world. Being an Alchemist handset, this iPhone Xs Max comes with a lifetime plating guarantee as well.